Nancy Wu leads the renewable energy and environmental technology research team at Innova Research. Prior to joining Innova Research, Nancy worked as an Analyst at Lux Research, leading the Renewable Energy and Environment research under the China Innovation practice. 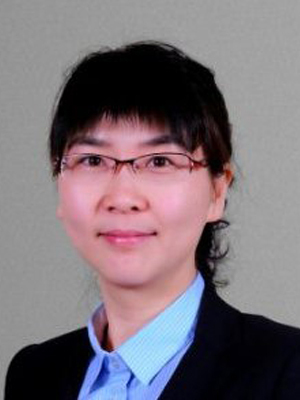 She conducted research on cutting-edge clean technologies and interviewed a large number of innovative companies and leading academics in China, she also monitored the ongoing Chinese policy changes and government subsidy plans towards renewable energy, including but not limited to solar, wind, biomass and environmental technologies in China.Nancy has also authored multiple market research reports, including extensive market sizing studies and technology roadmaping, benchmarking the existing penetration and predicting future trends and drivers in China and beyond. Additionally, she contributed tens of articles on leading scientific and industry journals, such as Chemistry and Industry (C&I), Power and Energy Solution (PES), among others. Before the Lux Research role, Nancy was a Research Engineer at Saint-Gobain, where she worked on the competitive analysis and method development for high-performance building materials research; she also conducted technical scouting on related industry and academic fronts. Before joining Saint-Gobain, Nancy took postdoctoral research at the University of Arizona, US, for the design, synthesis and engineering of inorganic-organic hybrid composites for both chemistry and environmental applications. Nancy holds a Ph.D. in Chemistry from the University of Arizona in US and a B.S. in Material Chemistry form Peking University in China.